High rigidity and long life by use of linear bearing on lever part. Repeat accuracy: ±0.01mm or less / Centering accuracy: ±0.07mm or less. Total length is almost same as basic type, and about twice stroke. HP04R with pipe saving solenoid valve. Since the piping distance is short, responding speed is high. Fluorine grease is used on inside of cylinder and bearing part. With suction port for dusts. About twice open/close stroke compared with HP04NR. Bearing (Finger) is detouchable by one touch. Finger change operation became speedy. Tool changer fanction is installed on gripper. Automatic detouching of only finger part is available. 3 ways mounting are available. High repeat accuracy: ±0.01 or less. Ultra thin high gripping force parallel gripper. There is also long stroke type. High withstand loead, withstand moment, and high precision. It is possible to make positioning of work piece end face because of asynchronize parallel gripper. Timing cotrol when gripper opening/closing is adjustable besides feature of HP07. Finger open/close timing adjust fanction is added on feature of HP07. Desided reference position does not shift when releasing. High gripping force by double piston mechanizm. Three finger linear gripper / repeat accuracy: ±0.01mm or less / Centering accuracy: ±0.05mm or less. 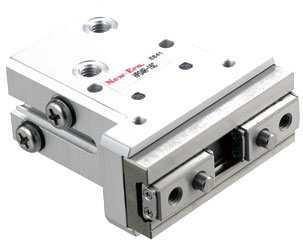 High rigidity and long life with hollow hole by use of linear bearing on lever part. Three finger parallel gripper with cross roller bearing. High repeat gripping accuracy: ±0.01 or less. Lever type: short type and long type. High rigidity by use of cross roller bearing. Duct proof cover is available. Long life by use of linear bearing on slide portion. Grip force improved because the cylinder push force is used as the closing force. You can select the mounting direction freely because 3 faces have a mounting screw. Compact and light weight because of link mechanizm. With switch type of KH series. Long stroke type of KH series. With switch type of KHL series. High durability, high rigidity, and high accuracy is achieved by Thrust bearing. High gripping force by link mechanizm. Since open/close angle is 180°, lever does not attached with work piece. Long life was achieved by use of chrome-molybdenum steel on lever part. Three ways mounting is selectable by fixing screw on three surfaces. Duct proof cover type from EHVE. 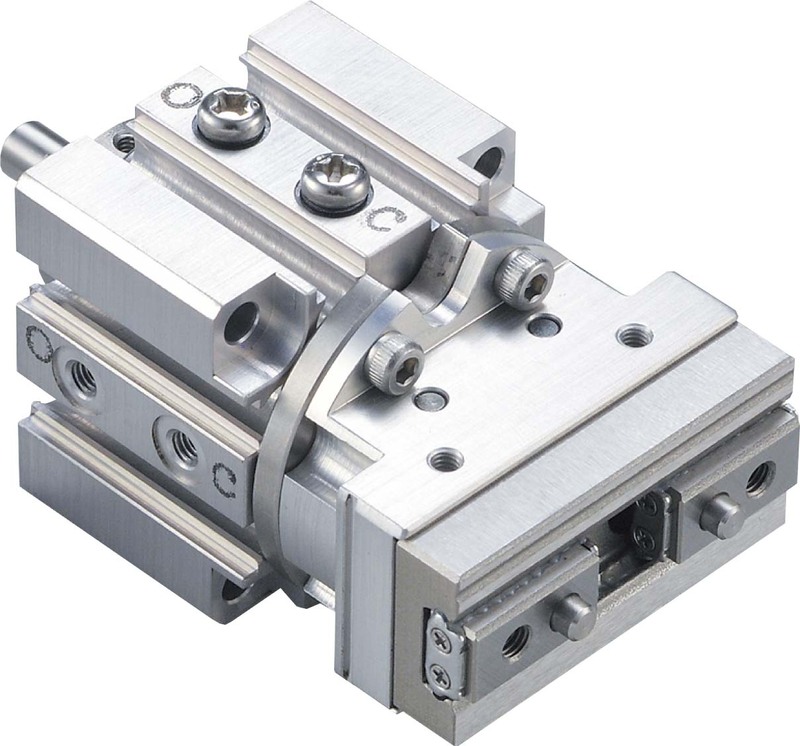 Rotating gripper of compact design. Compact and light weight due to aluminum alloy on body parts. About twice open/close stroke compared with basic type of HP09R. Normally open (A), Normally close can be selected. High rigidity and high accuracy by use of bearing. Repeat accuracy: ±0.01mm or less / Centering accuracy: ±0.07mm or less.